When I’m not writing I love to talk about what I’ve written or what I am about to write! If you are seeking an experienced speaker and former teacher then I’d love to hear from you. As a teacher with over 40 years experience I know all the tricks and ploys to maintain student interest and engagement all done in a fun and easy-going style. 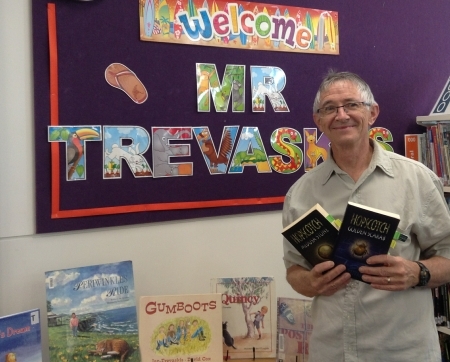 My Author Visits and Writing Workshops are presented using language and activities appropriate to the age group and include plenty of “hands-on” activities. I have had wide experience both in Australia and overseas and am able to tailor my presentations to suit the needs of the school and the students. I currently conduct weekly Creative Writing Classes at the Albury Library-Museum and plans are afoot to introduce similar workshops for both children and adults at the brand new Tallangatta Community Centre in 2017.